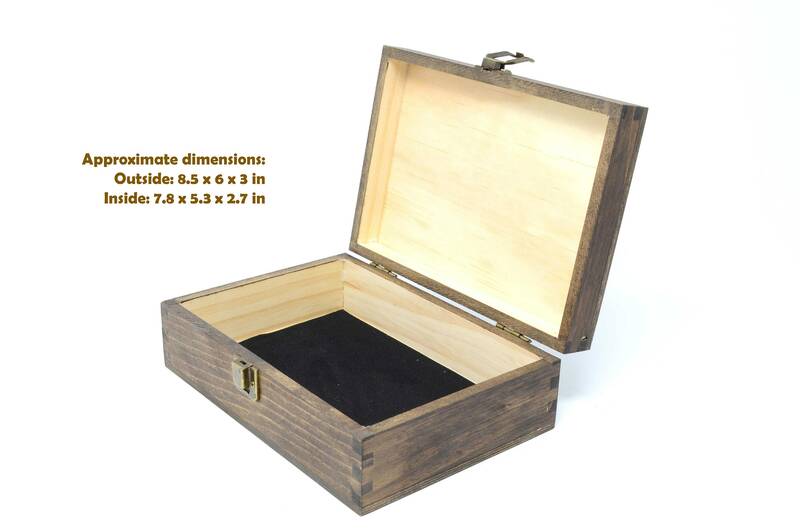 This beautiful and gorgeous wood gift memory box can be laser engraved on the top side with our beautiful designs or your own logo or design. 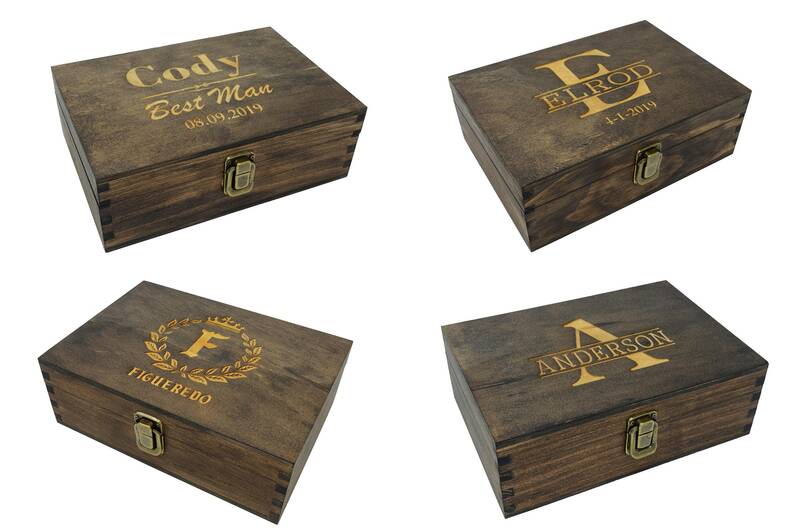 This gorgeous wooden personalized keepsake box can be used to store photos, keepsakes, jewelry and more. 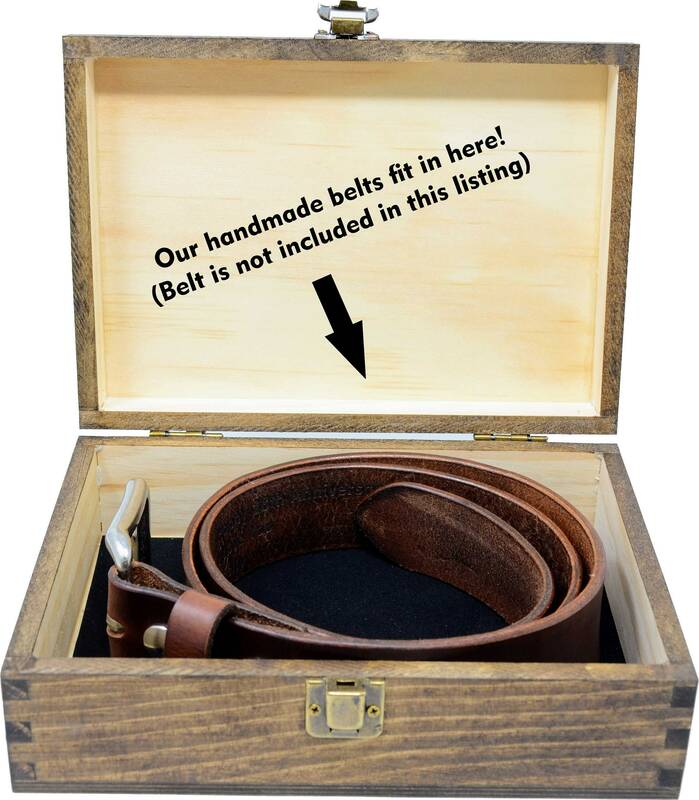 This rustic box pairs well with our amazing personalized handmade leather belts.The rustic color, marks, knots, and slight cracks in this gift box will vary due to it is made of wood. 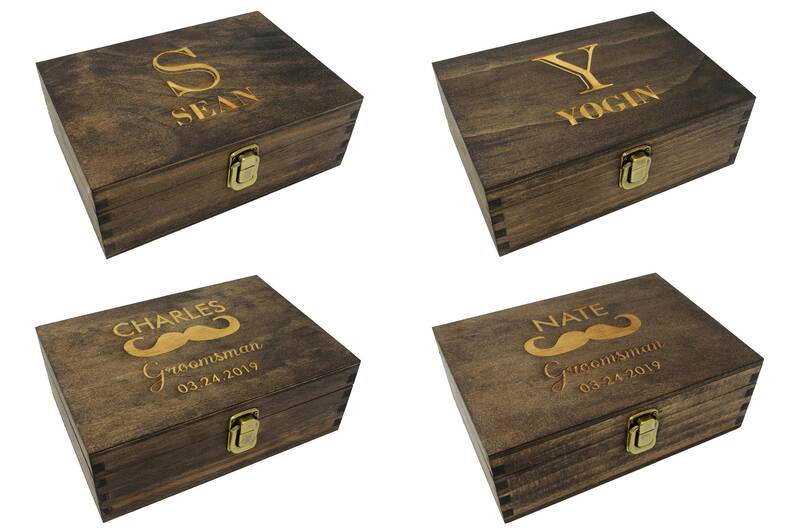 When we engrave this item the engraving may be a little lighter or darker in some areas. 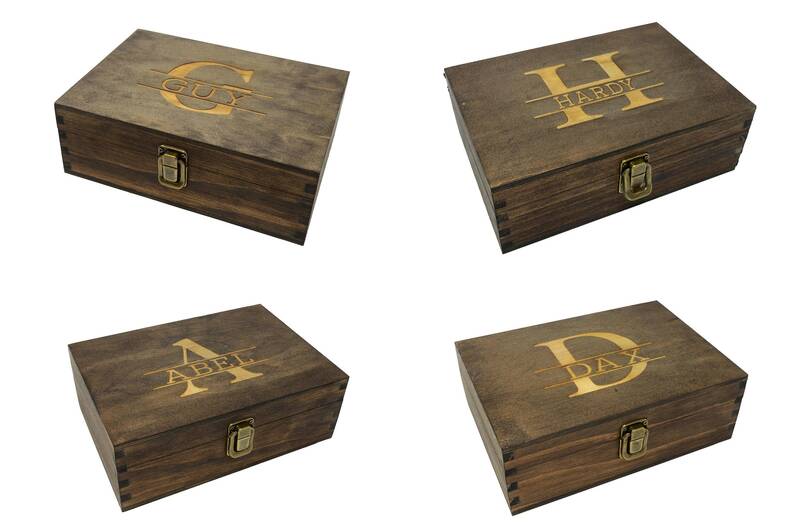 However these minor characteristics make each of this boxes unique. 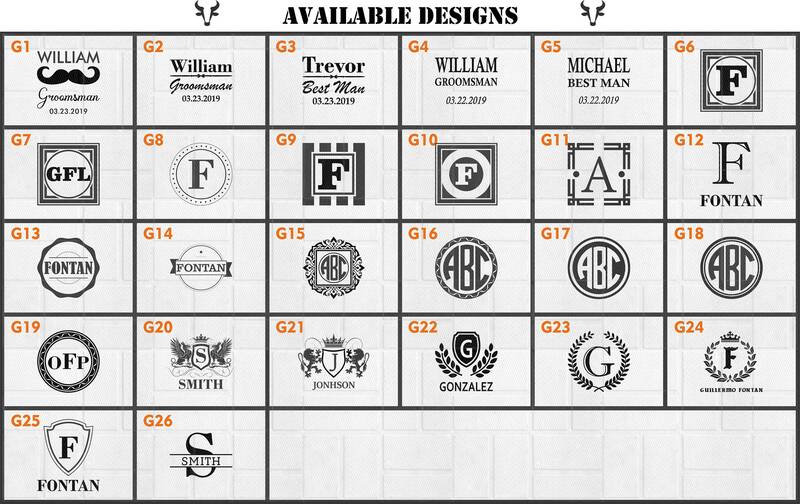 My fiancé and I have searched high and low for groomsmen gifts. He has been in a few weddings so the options were limited after considering the gifts he has received. I came across these and we both loved them; me especially because now he has a place for his odds and ends! I double checked delivery time because our wedding is mid-May and we had the boxes in less than a week! The packaging was perfect and they arrived very neatly wrapped. 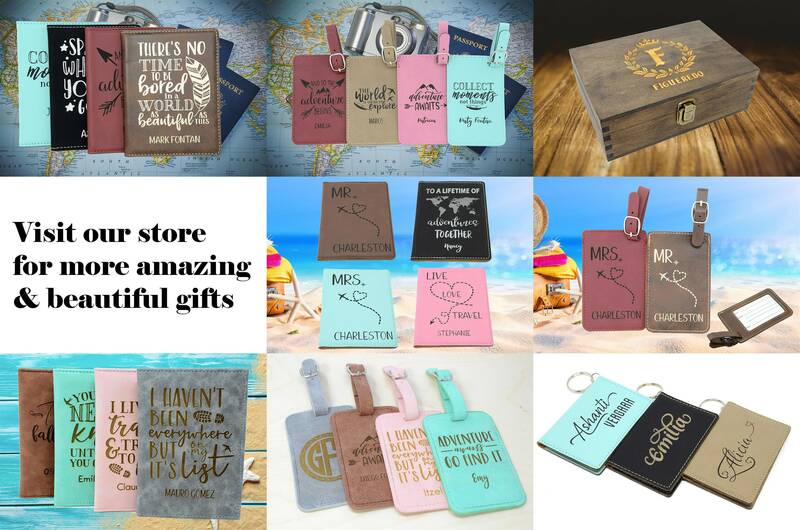 The personalization is what I loved most about this gift and it looks awesome on every box! I highly recommend this product and the seller. He was very friendly and even sent a proof for me to verify which I loved. Really fast turnaround time, and I can tell that a lot of care was used in the production. 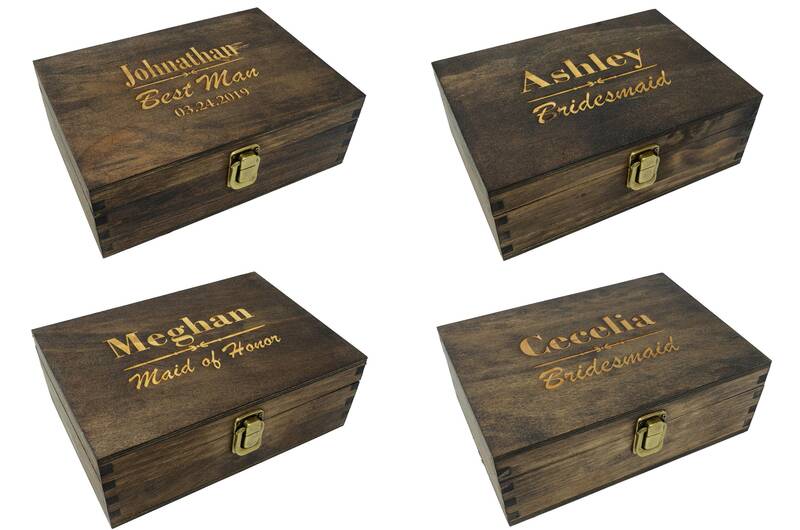 I got these to put my parents' gifts in for my wedding, and they are perfect. 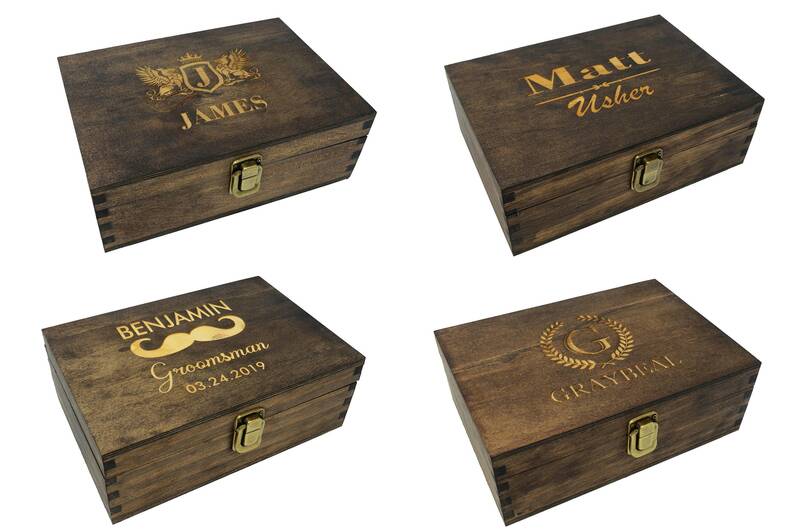 Was purchased as part of groomsmen gift and they all loved the box. 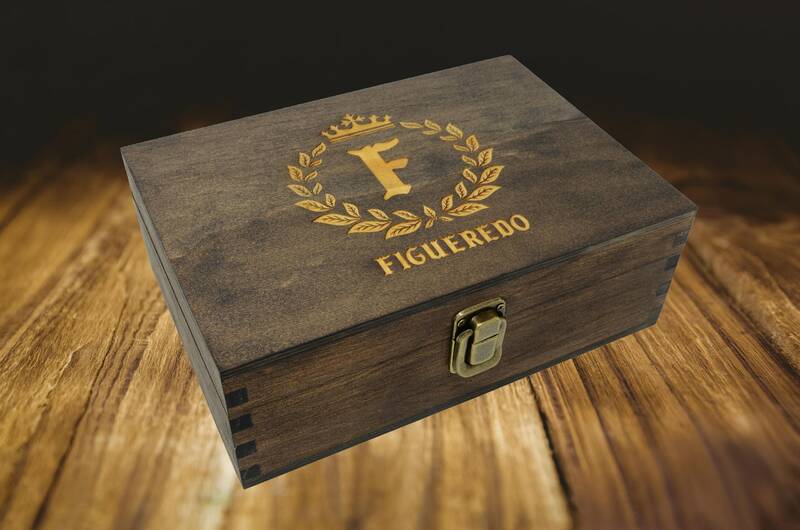 The quality is great and the name on each box was crisp and clear. They couldn't have been happier. excellent customer service and got here in a very timely manner. It looks perfect!